Legislature • HB99 would amend definition of bigamy but keep it a felony. Hildale • Shirlee Draper doesn't like polygamy. Her marriage was arranged. Later her husband married her younger sister. Draper says polygamy is patriarchal. She is glad she is no longer a plural wife, but she says it ultimately wasn't polygamy that caused her to leave. It was her faith's prophet, Warren Jeffs, and his overbearing control. "I would have left four years sooner," Draper said, "if I hadn't been afraid of the government, afraid of what they would do to my husband and my younger sister." And so Draper opposes HB99, which amends the definition of bigamy, but keeps the offense a felony punishable by up to five years in prison. Other former plural wives, however, have been some of the bill's biggest advocates. 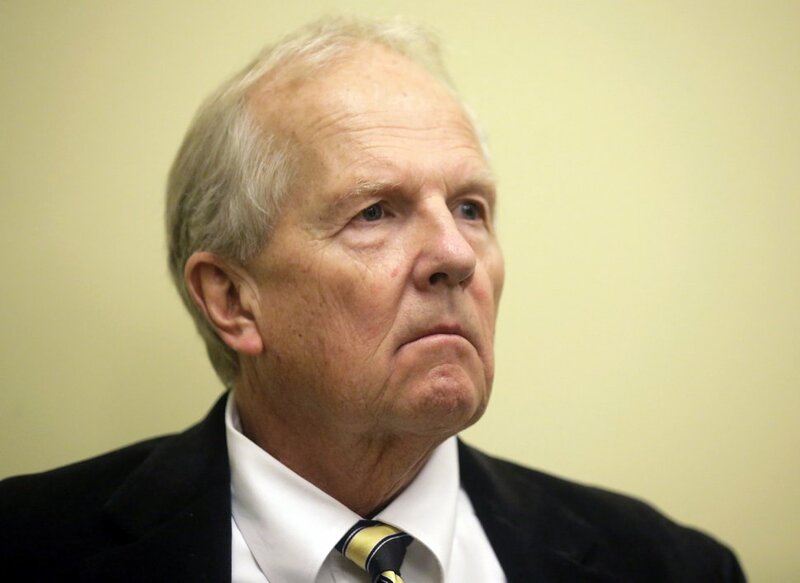 They have lobbied the measure's sponsor, Rep. Mike Noel, R-Kanab, who has said he decided to push the bill after hearing from some of those former wives and people who run assistance programs for those fleeing polygamous households. One of those former wives is Luann Cooper, who at age 15 was married to a 23-year-old cousin in the Davis County Cooperative Society, also known as the Kingston Group. In testimony to the House Judiciary Committee earlier this month, she said her husband left her and her children in an apartment and expected them to take care of themselves. "Polygamy doesn't get prosecuted," Cooper testified. "People are getting away with it." 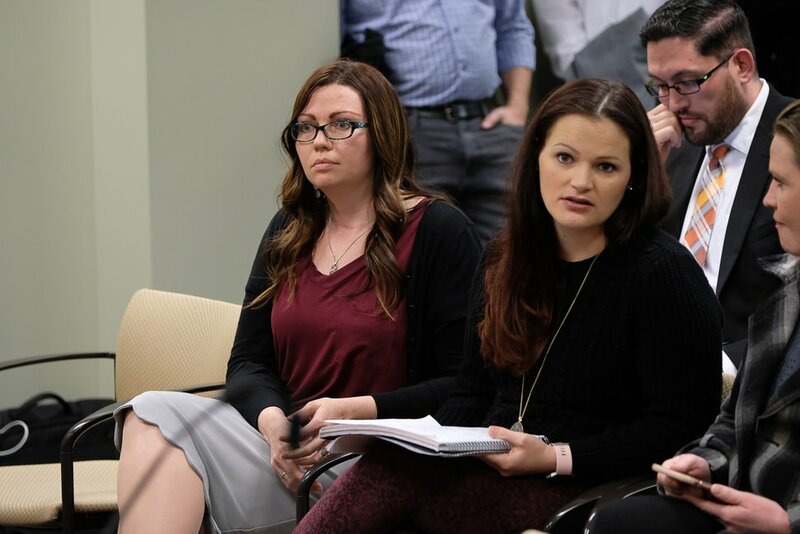 Cooper and a small group of former plural wives also spoke to reporters recently at the Utah Capitol to advocate for HB99. One of their selling points was a provision that grants amnesty to a polygamist who reports abuses to police. As Cooper and other bill backers were speaking, polygamists rallied on the south steps to oppose HB99. The polygamists were joined by libertarians, who see polygamy as a civil right and want the criminal penalties discarded, along with a number of former polygamists who believe that, even with the amnesty clause, any bill that keeps polygamy a felony will encourage women to remain in abusive relationships. HB99 has cleared the House Judiciary Committee and is awaiting a vote before the full House. Kristyn Decker, a former plural wife in the Apostolic United Brethren and one of the women who spoke in favor of HB99, said the divide between former plural wives is not new. She says the women interpret the causes for the problems with polygamy differently. Decker said while she and women like Cooper see difficulties inherent in polygamy, other former plural wives view the problems as confined to men like Jeffs, the imprisoned president of the Fundamentalist Church of Jesus Christ of Latter-Day Saints. "They think, 'My church was good until Warren Jeffs took over,'" Decker said. "They are just misinformed." Jeffs is serving a life sentence plus 20 years in a Texas prison for crimes related to sexually abusing two underage girls he married. Draper left the FLDS in 2004, went to college and is now a social worker. She doesn't dismiss the abuses other plural wives have suffered, she said, but, through her job, she encounters abuse victims from monogamous households, too. Draper acknowledges Jeffs was the cause of much of her problems in the sect. That is also one of her points. In an interview at the Merry Wives Cafe in Hildale, Draper said lawmakers should help prosecute abusive men rather than continue to outlaw what is a religious practice for thousands of Utahns. 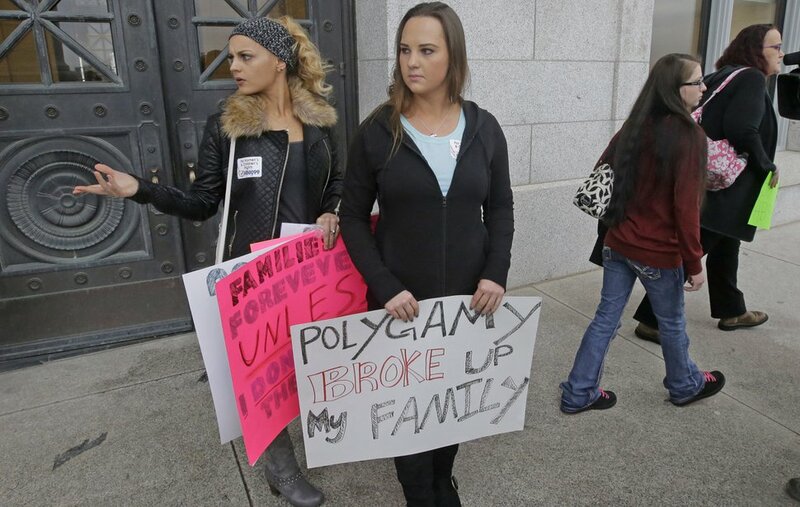 "For 180 years of polygamy being illegal, it has never curbed the practice," Draper said. 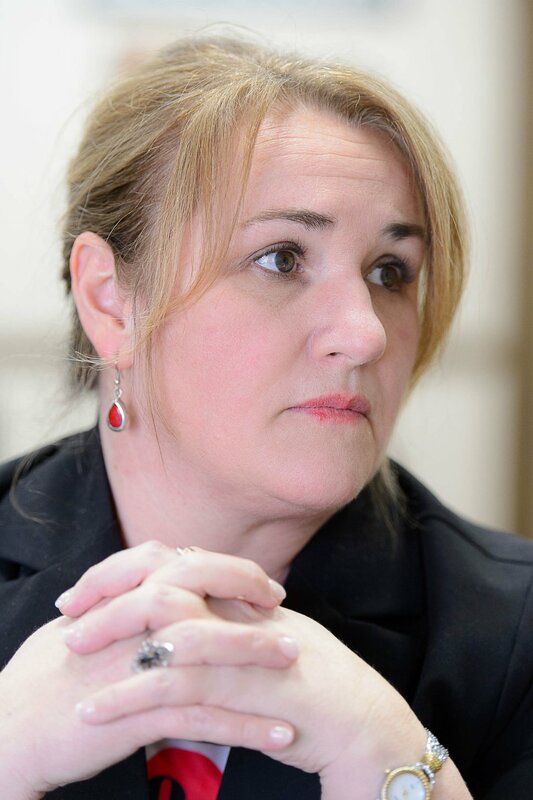 She also said the former plural wives supporting HB99 are looking through their own lens — one that shows the ills they suffered as being a result of polygamy rather than of neglectful or abusive men. 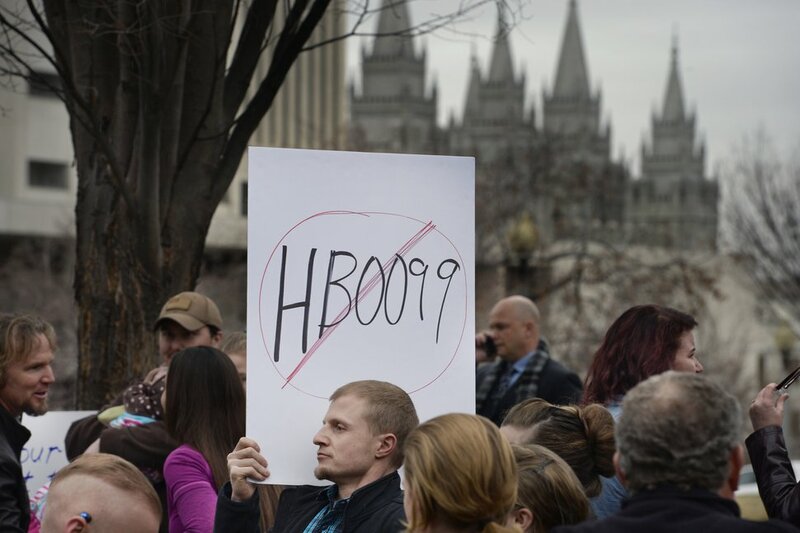 "Polygamy is not the problem that [HB99 supporters] are trying to get at, and they admit that," Draper said. "They are trying to get at the abuses." Steve Griffin / The Salt Lake Tribune Rep. Mike Noel, R-Kanab, center front, sponsor of HB99, has his witnesses sworn in as he presents the bill the clarifies polygamy is a felony in Utah, to members of the House Judiciary Standing Committee in the House Building Room 20 on Capitol Hill in Salt Lake City Wednesday February 1, 2017. Scott Sommerdorf | The Salt Lake Tribune April Briney, center, a plural wife, holds a sign beside her sister wife Angela Briney, right, blond hair, with other polygamists and their supporters rally on the south steps of the Capitol building, Friday, February 10, 2017. 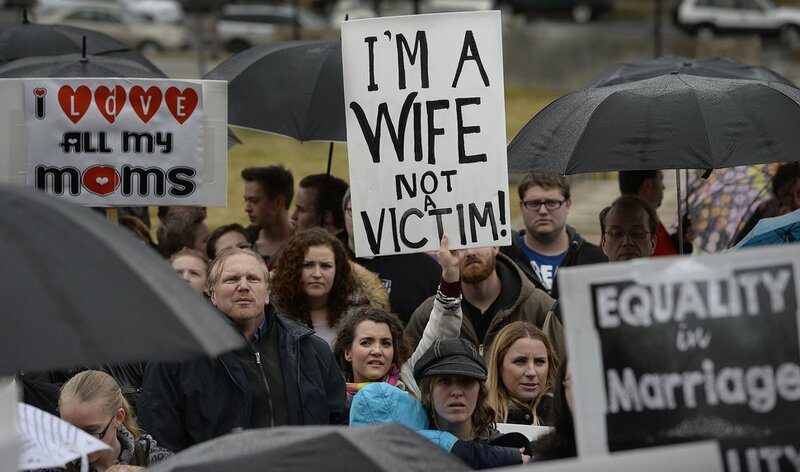 Scott Sommerdorf | The Salt Lake Tribune Polygamists and their supporters gather at City Creek Park, and later marched to the Capitol where they held a rally, Friday, February 10, 2017. 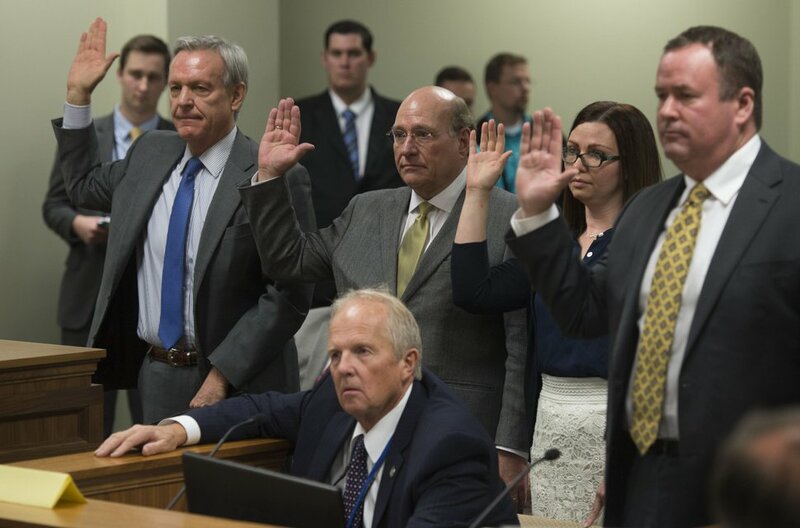 Trent Nelson | The Salt Lake Tribune Shirlee Draper, a member of the Board of Trustees of the United Effort Plan Trust, talks about HB99, the latest bill seeking to clarify that polygamy is a felony in Utah. Draper was photographed in Hildale, Monday February 13, 2017.